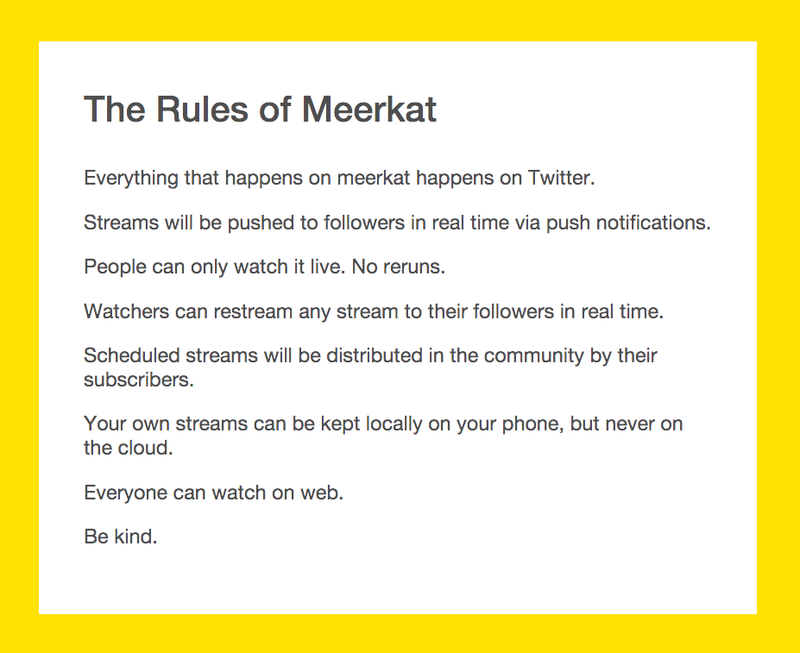 So … the new BIG app that has been making the rounds and buzzing everywhere the past few weeks is Meerkat. If you don’t know, it’s a live streaming app that lets you “Tweet Live Video” to your followers on the spot without editing or adding special effect. In less than a month since Meerkat launched, Twitter announced its acquisition of Periscope, a direct rival app and launched it last Thursday. Meerkat felt the blow of that acquisition since it’s Twitter limited, but has shown that it’s not going to go down that easily by quickly releasing some updates with features that were voiced by the community. By being able to access the list of people you follow on Twitter, Periscope has the main advantage at the moment; since you don’t have to populate your list of followers and the people you follow. Another big advantage Periscope has is “on-demand video”, were live streams could be saved and played back by viewers for 24 hours, similar to Snapchat’s Stories and Discover features. 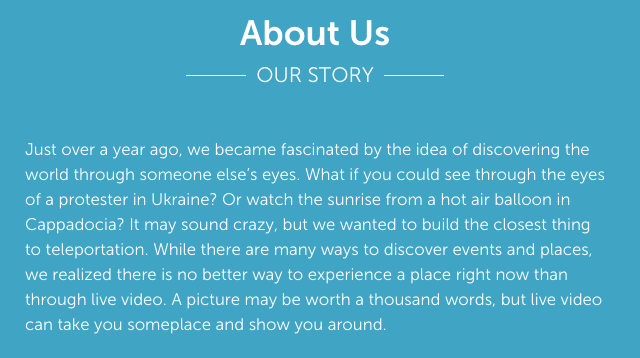 This feature would enable users to create content that would be shared and experienced by viewers in the same way it was broadcasted, with the all the timed comments and likes. One of Meerkat’s features that give it a little push is providing its users the option of scheduling a stream and notifying the followers to tune in later, much like YouTube does. It’s going to be interesting to see how those 2 apps are going to battle it out; but for now, Meerkat limits your broadcast by notifying only the followers that you’ve acquired on the app, making it more “private” and less noisey; while Periscope allows you to broadcast to the world, which could really take off in a similar fashion to when the Arab Spring changed the Twittersphere. Personally, I’m awaiting the feature on either app that would allow multiple feeds on one stream, where you would get a “collage” of live videos on your screen and could choose from which video you prefer the audio from. This entry was posted in social media and tagged app, broadcast, broadcasting, live streaming, live video, meerkat, periscope, privacy, tweet, twitter, YouTube. Bookmark the permalink.